This homemade costume for pets entered our 2016 Halloween Costume Contest. Maggie Mae is our dog. She is a rescue and an Australian Shepherd/ beagle mix. 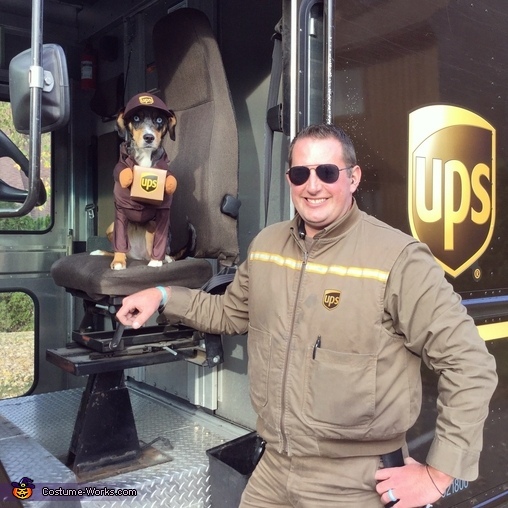 She is dressed as a UPS helper to help her dad who is a real UPS man!